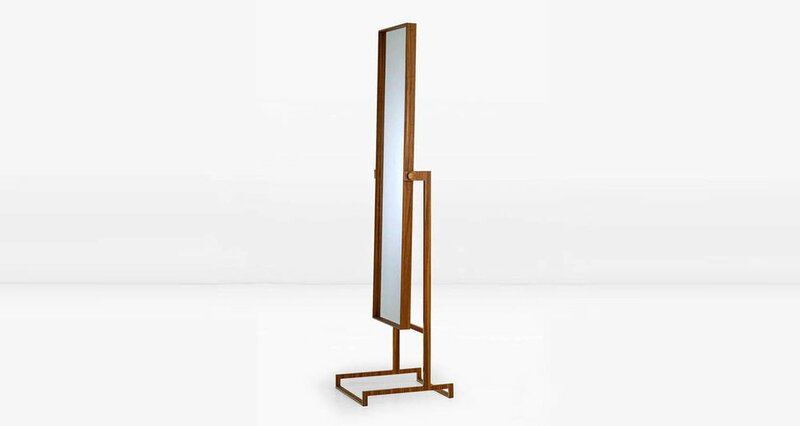 Wood veneer is expressed as a thin skin covering the solid Bronze frame of the Starling Standing Mirror. 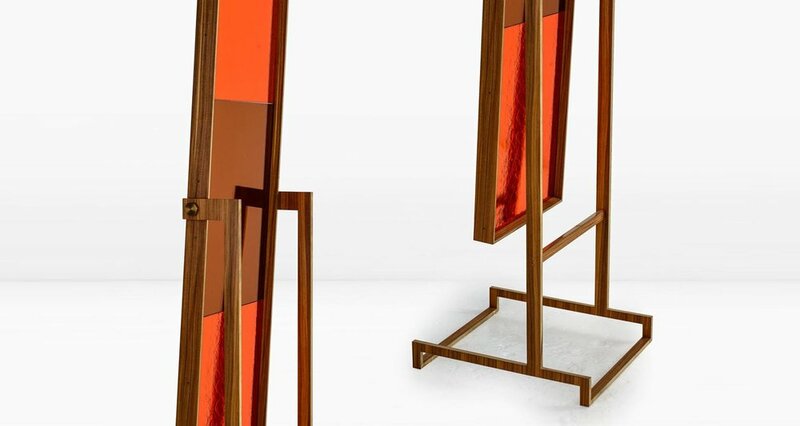 Two mirrored materials offer two very different views: clear float glass for a perfect reflection and Italian colored glass to offer a different looking glass experience. 360-degree rotation provides maximum functionality. Shown with South American Rosewood veneer. The Starling is also available with a Nickel frame and in other woods.